Are you tempted by the idea of a slick looking and powerful non-Windows laptop? 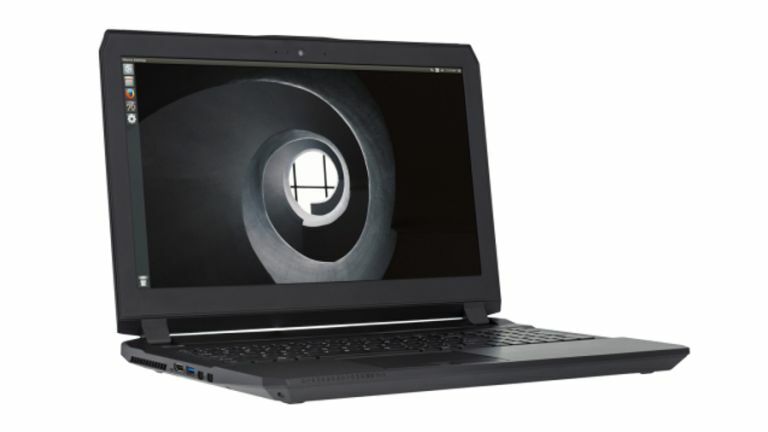 Then you might want to check out the System76 Oryx Pro, which runs Ubuntu and packs some tasty components including a choice of Skylake processors. This laptop is a smart looking beast finished in black aluminium alloy and it's available with a 15-inch or 17-inch screen – that's a full HD display (1920 x 1080) with an option on upgrading to an IPS panel with Nvidia's G-Sync tech (the latter is designed to combat stuttering and tearing for more fluid gaming frame rates). The Oryx Pro is powered by Core i7 Skylake processors – you have a choice of the i7-6700HQ running at 3.5GHz, or the i7-6820HK at 3.6GHz with slightly more cache on board – backed by up to 64GB of RAM. The graphics are a choice of either the GeForce GTX 970M with 3GB of memory, or the GTX 980M with 8GB of video RAM – all these options can be specified via the System76 online configurator, incidentally. Storage is provided in the form of an M.2 SSD, running from 120GB up to 512GB, plus you can add extra drives, either SSDs or traditional hard disks, upping the capacity to a total 5TB if you want to max things out (that would be a pair of 512GB SSDs along with a pair of 2TB HDDs). This notebook also has a white backlit full-size keyboard, with keys which are slightly concave and have a soft texture finish for comfortable typing, along with a multi-touch click pad. And there are upward facing Onkyo speakers on board which can produce a “3D soundfield” for a more immersive gaming or movie watching experience. Prices for the Oryx Pro start from $1399 (around £910) and System76 ships to over 50 countries globally including the UK, with shipping starting early next month.